Tracking devices have two main functions – one, to obtain it’s current position usually by the US Global Positioning System (GPS) and then to communicate it’s position back to the owner. 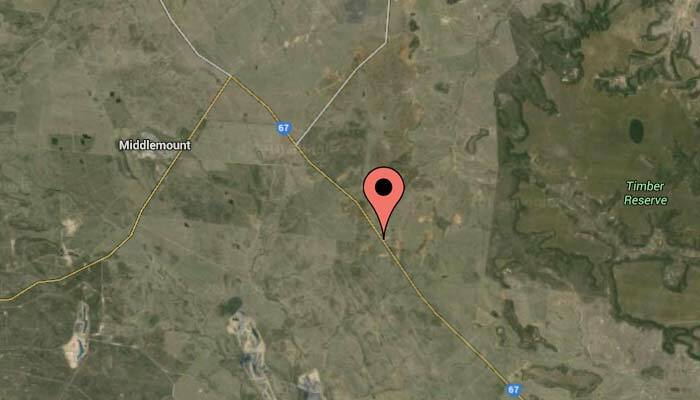 In remote areas, like the Australian bush where there are mining operations or small communities, relaying the location information can be a real challenge. Therefore satellite systems for communication are often used. 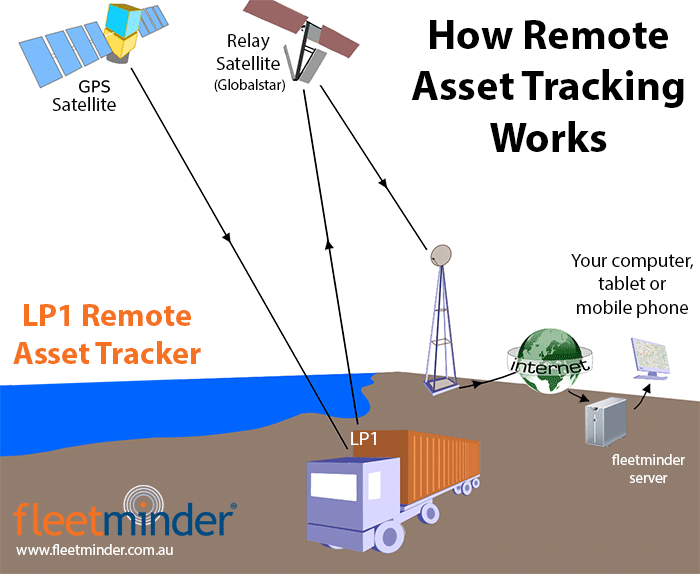 Satellite asset trackers, such as the fleetminder LP1 use two satellite systems, GPS and a relay communication satellite system as shown in the diagram below. Using the satellite system the asset tracking device can report from any location in Australia including in cities, towns and remote areas. 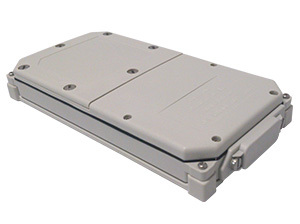 1) The asset tracker fitted to a vehicle, trailer or machine obtains it’s position via GPS. 2) The asset tracker then transmits that position data to a relay communications satellite. The fleetminder LP1 uses Globalstar. 3) The data is sent to a ground station which is connected to the internet and to the fleetminder web-server. 4) Finally, the owner views the location of the remote asset using their computer, tablet or mobile device. The Live Tracking system also records and stores all the data (location messages) from the asset tracker over time. The asset owner can then view the current and past locations that the asset travelled through. Other important information (data) can also be sent by the LP1 asset tracker such as opening / closing of doors, tamper and movement alerts and so on. 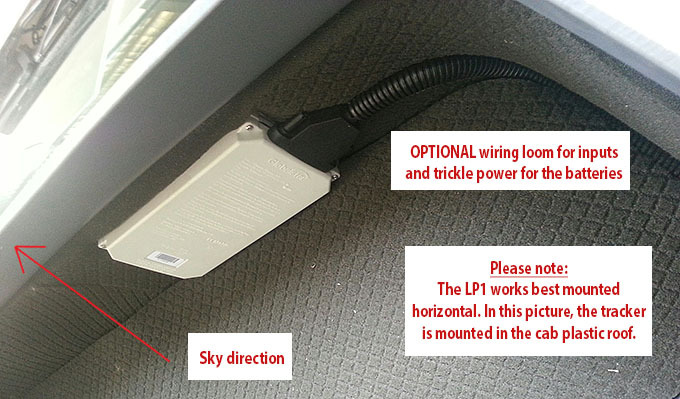 For example, door switches can be wired to the LP1 which will then transmit that event when the door is opened. This is useful in security or monitoring applications. 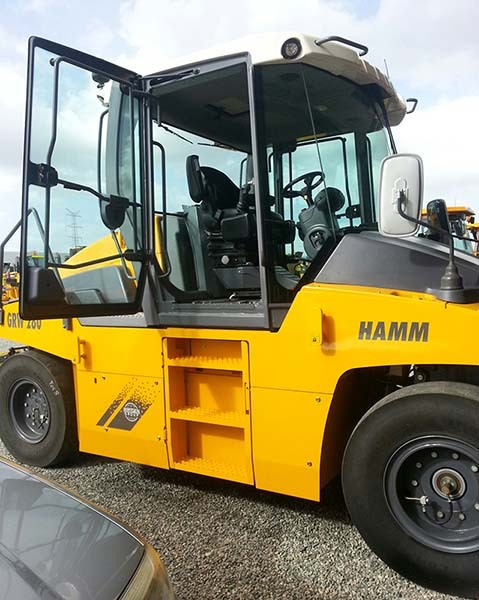 Remote asset trackers allow tracking of your valuable assets anywhere in Australia making these types of trackers crucial to monitoring asset location, asset use and adding another important safety system to drivers working in remote areas.